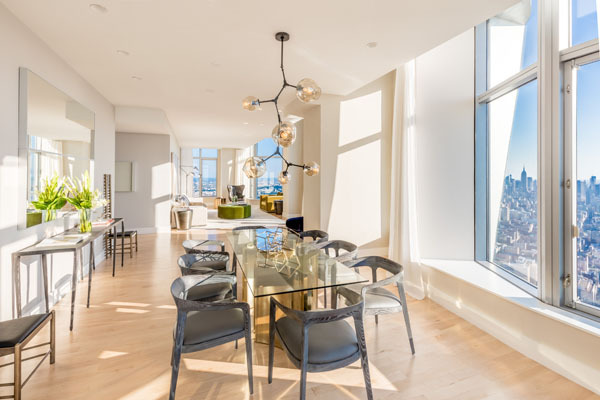 The Frank Gehry-designed masterpiece in New York’s Financial District, is one of the tallest and most iconic residential buildings in the western hemisphere. This 3,771 square-foot home includes four bedrooms and 3.5 bathrooms, and occupies its own wing of the building. 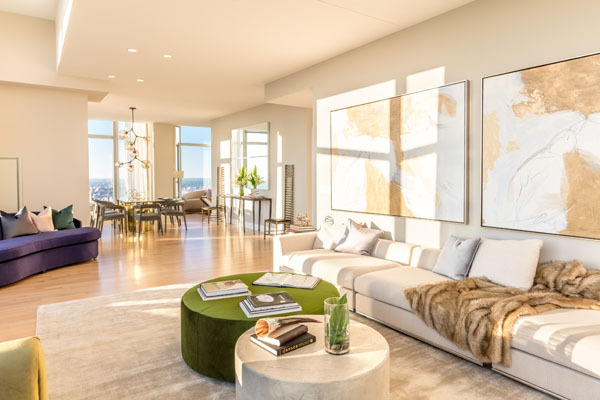 The apartment features 10-12 foot ceiling heights with breathtaking panoramas of the Hudson and East Rivers, the area’s major bridges and Midtown’s skyline. The oversized master bedroom suite features a private sitting area and custom walk-in closet. 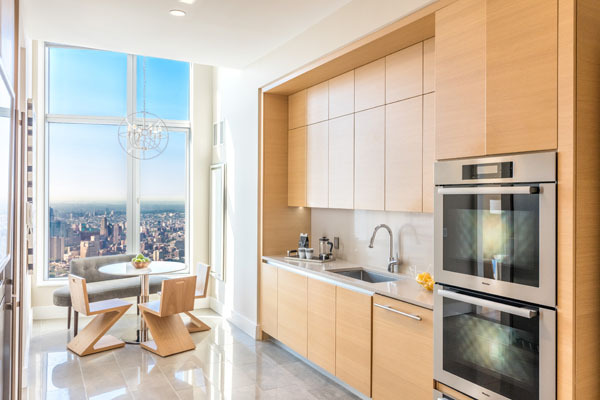 The kitchen is a chef’s dream with a 48’’ Liebherr refrigerator, wine refrigerator, 6-burner Miele cooktop with wall-mounted pot filers and a vented hood, Miele double-wall oven microwave and a warming drawer. Additional features include motorized solar shades, a laundry room, wet bar area, multi-zoned central heating/cooling system, and built-in audio speakers. In the building, there is a state-of-the-art fitness center offering a number of specialized areas, including boxing/kickboxing, private training, and a spa treatment suite with private rooms. An indoor swimming pool is set within a skylit space surrounded by a wraparound sundeck. The wellness, social and entertainment amenities total approximately 22,000 square feet of indoor and outdoor spaces.